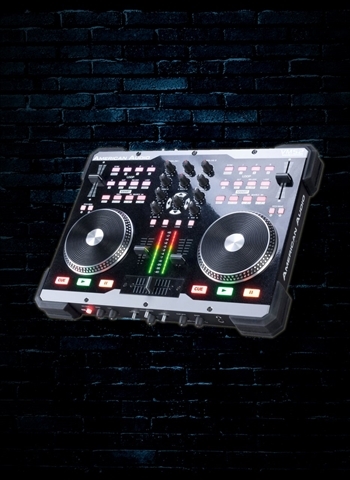 The American Audio VMS2 is a 2-Channel Midi Controller that comes bundled with Virtual DJ LE software. The VMS2 features two MIDILOG Channels (compatible with any “MIDI Software” or Analog Inputs - such as CD Players, Turntables, etc. ), one microphone input, Balanced XLR outputs, a 4 In/4 Out Sound Card built-in, and comes with American Audio’s exclusive “DSP D-Core” Audio Engine inside.